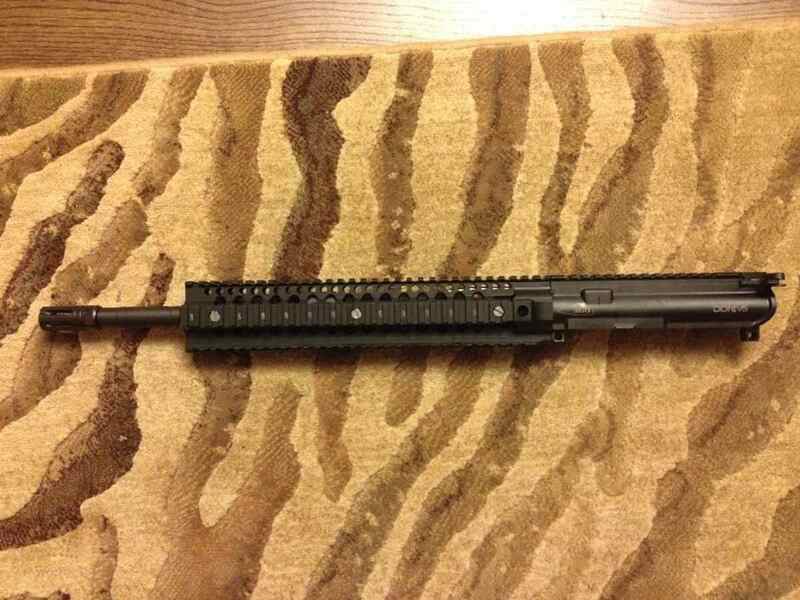 I have a brand new 16 inch daniel defense 300 AAC Blackout upper. This is a factory upper that includes everything except the bolt carrier group. This includes the 12 inch Omega X rail, DD charging handles and bird cage flash hider. The price is $800 for the upper. I am located in the Houston area, but I don't mind shipping. Unless I missed something while doing my research online, this should be the cheapest 300 blackout M4V5 upper for sale right now in the country.